I’ll tell you right out of the blocks, don’t get too excited about this pair of kicks. They will be very hard to find. 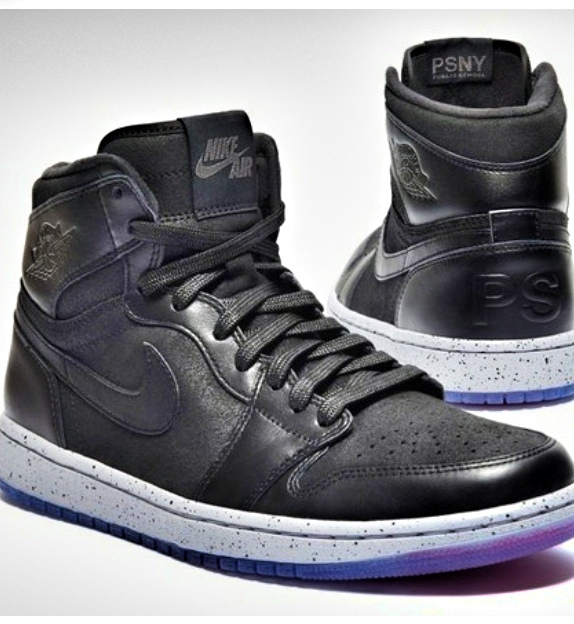 They are limited to 50 pairs which are going to the friends and family of the Public School brand. The Good news is a similar pair will be produced and available at the Flight 23 shops in New York City, depending on where you find your research on the web, this version could be out by end of Summer or in 2015. There’s some conflicting information about the release of the NY23 version of these kicks. The pictured version is entitled the PSNY. I know, a little confusing. I do like the PS on the back of the pair pictured. That’s pretty cool. The Icey Translucent outsole is sick. And all black is a great color to sneak into work with or rock with a suit, maybe with a black or white T and a purple or blue pocket square. See you on the Diner En Blanc Streetz this weekend! A very hard party to dress for, no black allowed, everything is suppose to be WHITE including the pants! Yikes! Maybe I’ll do a post on it, maybe I won’t. As you know, white’s not one of my fav colors to be rockin’. 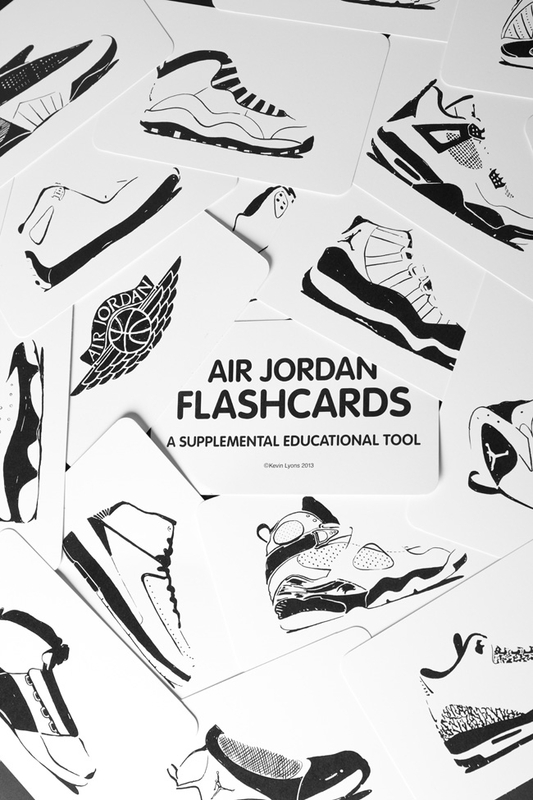 Check out these Air Jordan Flashcards. Play with friends and see who knows their J’s the Best. Out of the first 20, I could do pretty well up until 15-19. After a couple plays, easy parcheesie. But just like Jordan’s these cards created by Kevin Lyons are limited to just 250 sets. I’d like to play the game, but I suspect many will keep these on ice just like the kicks. I wouldn’t pay double or triple for a card game, that’s for sure. It does give me a good idea to have some fun and still get to play the game. Just go on-line, copy, print and cut up all the J’s you can find, laminate them, then play with your fellow sneakerheads. Sounds like a plan. And you get to play the game with the even more styling color versions of the kicks. Adding to this idea, put together an Air Jordan Flash Card Game Night. Play the card game, eat some Ballpark franks, Drink some Gatorade, maybe have a cigar or two, watch some Bulls Games on VHS. And don’t forget to buy, sell, and trade your kicks. Sweet! who’s ready to Partay? To get you ready to play the card game or just have fun re-living your Airness’ career. Have fun seeing Jordan in over 30 minutes of Nike Air Jordan commercials. Enjoy! Can you believe this suit? It goes ankle-deep into the ocean then later in the video the model actually surf’s in it! I’ve only seen this J. Crew Suit on the video so don’t know how well it would fair in the real world. From the looks of this video, it’s the perfect travel companion for your next business or pleasure trip. I don’t see a wrinkle in it either. Wow! My feet hurt almost every day of the week, thus I’m always on the look out for some styling comfortable kicks. These look like a great find. Good looking enough to wear to work and according to the video, these should keep my feet comfy. I’ll take a trip out to the Red Wing Store and take a look at these. They could be the shoe for me. Lately my feet have hurt so bad, I’ve been wearing dark black Jordan 13 Altitudes in a size bigger than I usually take with an Ultra absorbent back pain Pro Pain relief in-sole from Dr. Scholl’s. They seem to work pretty well, just not the right look for important business meetings. I could use both the suit and the shoes. Memorial Day Weekend 2014, I’ll be in Chicago, checking out my nieces High School Graduation. Until I buy something new, I’ll bring my Jordan 13 Altitudes and a John Varvatos zippered suit jacket that can double as a piece to use for warmth. According to my iPhone’s weather app, It could be anywhere from 37% to 82%. Both items are a perfect match if you’re looking for that How to Make it in America look that Ben Rocks. What do you recommend for travel clothing and Kicks? LMK in the Comments section.Have a Great Week and I’ll for sure see you on the streetz of Chicago. Will the Jordan XX9 help you jump higher? 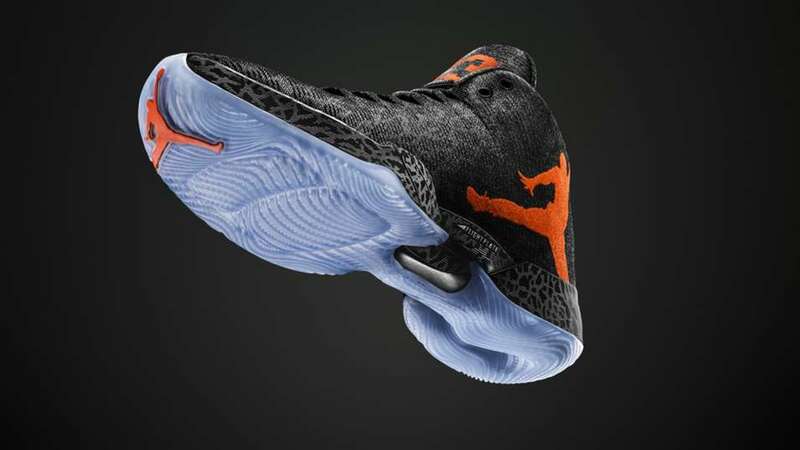 Here is a preview of the new Jordan XX9. I was wondering where the 29’s were when the February 2014 All-Star Game happened. Nike typically releases their newest Jordan in conjunction with the NBA ASG. I don’t know when these come out, but it’s now April, February was a bit back. I doubt we have to wait until Feb 2015? I do really like the fact that the Jordan brand went back to naming the shoes with numbers. When they screwed up and made up a new name instead of number for the shoe, I just boycotted and didn’t buy them. I’m so glad they have gone back to 28 then 29. Next one will be 30 which undoubtedly will be a BIG release. The huge highlights of the 29’s is they have the design woven directly into the shoe and boast a special plate on the sole that should help you explode into the air, easier and with more propulsion. Hearing Tinker Hatfield tell us this, isn’t quite as awesome as seeing Michael Jordan actually doing it. But maybe, these will really help you jump like an NBA Baller? I know when I wore my V’s back in the day I could jump higher because the Ad campaign told me I could. Now maybe, the shoe will actually help everyone jump higher. For me the placebo effect of knowing I could Be Like Mike worked perfectly well. Because back in the 80’s It was the Shoes that made me jump so high! I believed it and I seriously came one quarter of an inch from hitting the rim in the Jordan 5’s. Most of the time I hit the middle of net, but that one summer I did come very close to a real D-U-N-K! With the XX9’s, we’ll just need to wait and see and give them a try when they do come out. I like the Black, Big Orange Jumpman and Ice Blue sole colorway. The other, ahh not so much, looks like a retro 3 mixed with a Gen release. Wonder how they hold up in the rain? Will they finally come out with some wider widths? Will these help you jump higher? Will you cop em? LMK. See you on the Streetz, maybe the court and this weekend for sure at the Beach. Happy Easter! This Sneakerhead named Franalations has 800 pairs of Kicks. How many shoes does one person need? It’s just way too out of hand and foot for me to conceptualize. Although I am jealous of all those J’s. I thought 80 pairs was too many and I’m not quite there yet. LMK how many pairs of kicks you think are too many or just right? 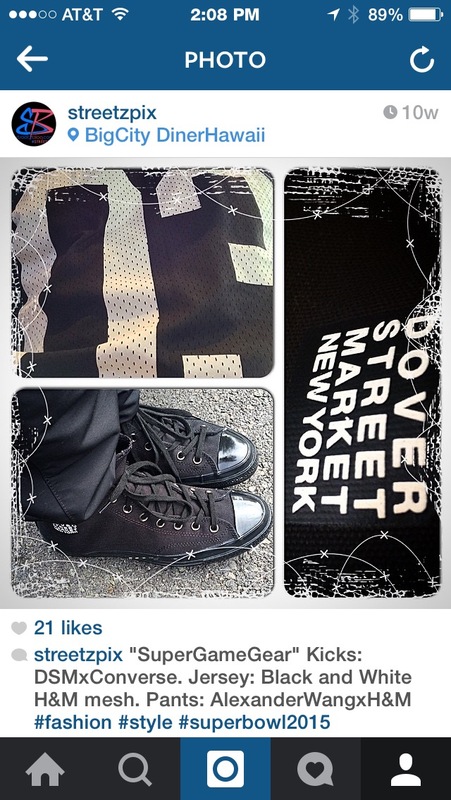 Also take a sec to fill out the survey, let’s see how many kicks the Streetzblog reader has. Should be fun to find out. I bet it’s around 25 pairs. That’s my guess. Have a nice Weekend! Just this past Thursday night March 7, 2013, I was flipping thru the TV channels with nothing to watch when I stumbled upon a channel I didn’t know existed and was able to watch Spike Lee’s New York B-ballin’ movie-He Got Game. I haven’t seen that movie since 1998 when it first came out, then maybe again in 2001. I do like the movie, I just forgot all about it in the digital world until this past Thursday. But when did they come out? Come to find out from just a click or two on Google, these Kicks release THIS Saturday March 16, 2013 at the Nike Store and Jordan Brand retailers. 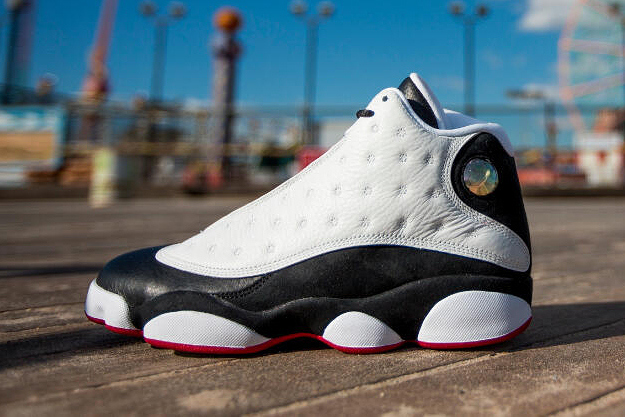 ($170) And yes they did come out in November of 1997. But don’t think they’ve ever been retro’d in this colorway. I don’t know about you, but I’m thinking “They showed that movie on purpose this past Thursday, because Nike gave the TV Station a few bucks to show the movie with the shoes in it right before they hit the Stores”. Coince-A-Dinky? Interesting Trivia from IMDb on this scene. In the Original script Jesus was supposed to beat Jake 15-0, but Spike Lee asked the two actors to play as if the game was real. The film’s footage and scoring comes from the actual game played between Denzel Washington and Ray Allen. Good choice! If Jake lost 15-0, I sure would NOT want to wear those shoes! I’d want Ray Allen’s kicks, but those aren’t even Jordans, so prob neither. James “Flight” White Takes Off from the Free-Throw Line! Despite D-Wade’s enthusiastic attempt to get Lebron James into the 2013 NBA All-Star Game Dunk contest, he will not be there. At least this year we do have James White from the New York Knicks who sky’s high and has some pretty dope new Kicks made by K1X. I wondered where he got shoes from, they are usually all one solid color and I’ve seen him in both the Orange and the Blue versions. You can get a pair at Kickz.com..but year’s ago when I bought a pair on the website, the shipping charge was almost as much as the Kicks and I had to go to Kinko’s to fax them a copy of my driver’s licence. It is a site in Germany. but hopefully by now they have worked out the kinks they had back when I bought a pair. Here’s the Line-Up for this year’s NBA All-Star Dunk Contest. (Better be better than last year, that I think was the worst ever!) And it’s been a few year’s since Nate Robinson and Dwight Howard dueled it out in the best dunk contest since Jordan won a couple of them back in the Late 80’s. Eric Bledsoe (Clippers) He’s pretty cool! Tags: 2013 NBA Dunk Contest, All-Star Game, James White, Jordans, K1X, Michael Jordan Dunks, NBA, Who will be in this year's Dunk Contest?